Geeks of the North has posted episode 5 of their podcast up online for your listening pleasure. This week, after our usual hobby, events and news talk, we have our first interview! 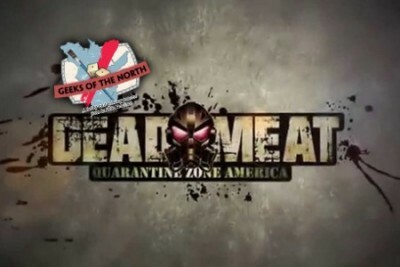 We sat down in front of our mics and chatted with game designer Ryan Miller about his upcoming game, Dead Meat: Quarantine Zone America. We hope you'll like the interview as much as we did recording it!